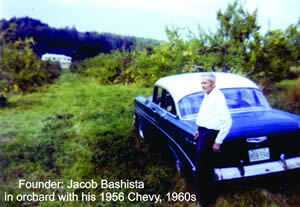 Bashista Orchards was started in the 1920s by Jacob Bashista. Jacob came to the United States from Poland in 1909 by way of Ellis Island, New York. He and his brother Frank worked in the Pennsylvania coal mines for 12 years before moving to Massachusetts. 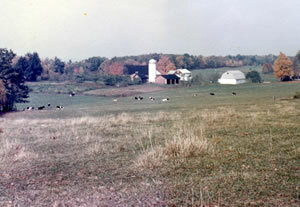 After a short time in Westfield, they purchased the farm in Southampton. Jacob and his Wife Sabina raised two boys, Edward and Walter. 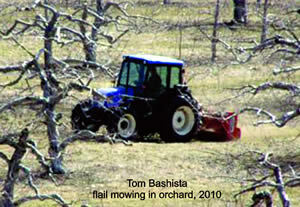 Frank lived and worked with them as they raised dairy cows and later started an apple orchard. In 1926, Bashista Orchards was established and the nearly 100 acre farm still has some of the old standard trees that Jacob and Frank planted. Jacob’s son Walter continued with the farming tradition while also working as an auto mechanic before becoming a full time farmer in the 1940s. Walter added pears and plums to the orchard variety along with continuing the tradition of dairy farming in New England. 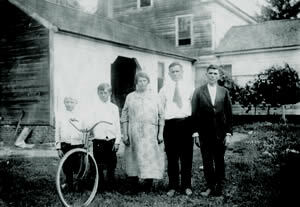 Walter stayed on the homestead and raised a family of his own with his wife Anne. Their first child Tom, would follow in his father’s footsteps by pursuing a career in auto repair while helping on the farm. Tom and his wife Jean built a house on the farm land in 1961 and raised a family there. 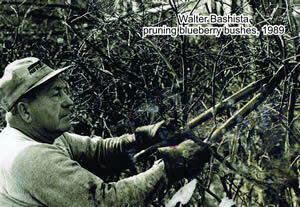 In the early 1980’s Walter retired from full time farm work and Tom and Jean took the reins at the orchard. The small dairy operation was not profitable and had been a labor of love for Walter for years. Tom and Jean decided to put all of their focus on the fruit farm and expanded the retail store. Peaches, nectarines, cherries and apricots were added to the tree fruit rows as were several new apple varieties. Baked goods were added to the retail store and then those cider donuts. 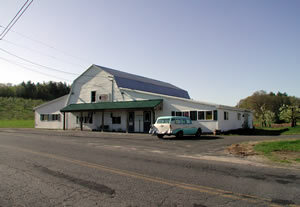 The addition of the bakery was a giant step for the small family farm and it allowed the store to remain open year round. The cider mill was added to the farm in 1996. The equipment was the same setup that we had used for a few seasons off site and was eventually purchased from Tom Molitoris of Easthampton. Our slow pressed blend of ripe apples is unpasteurized and has nothing added or taken away, just the way it was meant to be. Tom and Jean’s first son, Tom and his wife Cheryl continued the farming tradition in 2010 when they took ownership of the farm. More fruit trees were planted and at a higher density than before. Pick your own apples were also added due to its increasing popularity. Now there are well over 1000 trees on 30 acres of orchard with 50 varieties of apples for eating, baking and cider making. 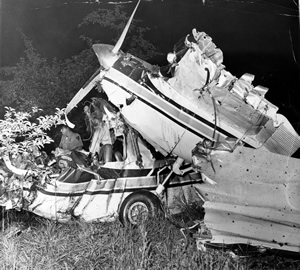 Kennedy plane crash in our orchard. Across the street from the orchard you now see on East Street is now wild and grown in, but in 1964, the hill was host to rows of old standard apple trees. Just a few miles from touching down on the runway, the pilot ran into trouble and the plane crash-landed in the Bashista apple orchard off East Street in Southampton at about 11 p.m.